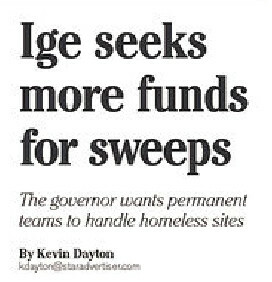 The Star-Advertiser reported in a front-page story today that Governor David Ige would be asking the State Legislature to fund permanent teams to raid and sweep homeless encampments on state property–similar to Honolulu city programs described as “compassionate disruption.” Ige actually used the same term. They didn’t say “raid” but what else is a posse of sheriffs descending under cover of darkness to wake families up and shovel their stuff into bins or garbage trucks? Yes, if it is a park that is being cleared, the rules call for a nighttime closure. That does not make it any easier for the children who are “disrupted” and probably won’t be able to attend school that day. Nighttime raids were the tactics of choice of US troops in Iraq and Afghanistan. That's what Ige wants to dish out to those who are among the most vulnerable citizens of Honolulu. 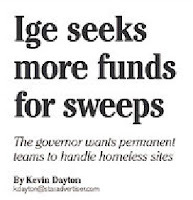 If Ige goes forward, as he likely will, he would contribute to the creation of a permanent and growing nomadic underclass of Hawaii citizens, doomed to wander the city by an uncaring superior power–the police powers of the state. 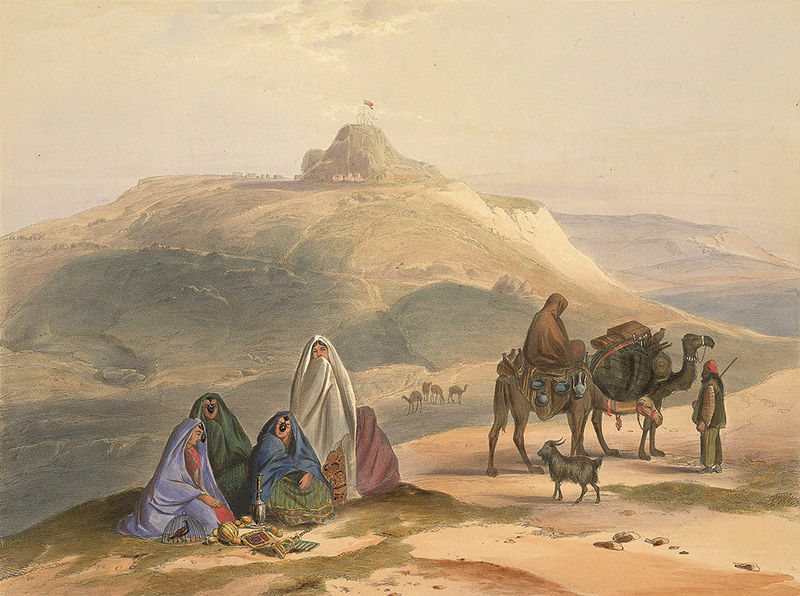 The problem with hiding out in remote neighborhoods is that many don't provide a way to sustain life. There is inadequate shelter space at present or in the near future. There is no low-cost housing, certainly nothing "affordable" to a large segment of the population, much less to homeless individuals or families. Nor is anything significant being done about that. Speaking of “future,” the current plans for the Sand Island shelter call for only a 60 day stay. Some will be offered housing, but there is not enough. What then–will the City then transport them to the beach or sidewalk of their choice? Of course, that’s a rule that could be changed, but it is the rule at present. So the "future" for many of those who may select to move into the Sand Island facility is simply to resume wandering in two months. Unlike other sensible cities that are also facing their own housing crises, Honolulu (and now Hawaii) seems to be putting its effort into enforcement instead of housing.